Think of our Premier Series as an extension of our Custom Series, but with standardized features for greater efficiencies in parts production and assembly – providing near custom performance at prices that are affordable to serious shooters. Bergara’s Premium 416 stainless steel barrels receive a proprietary honing process at our barrel-making facility in Bergara, Spain. 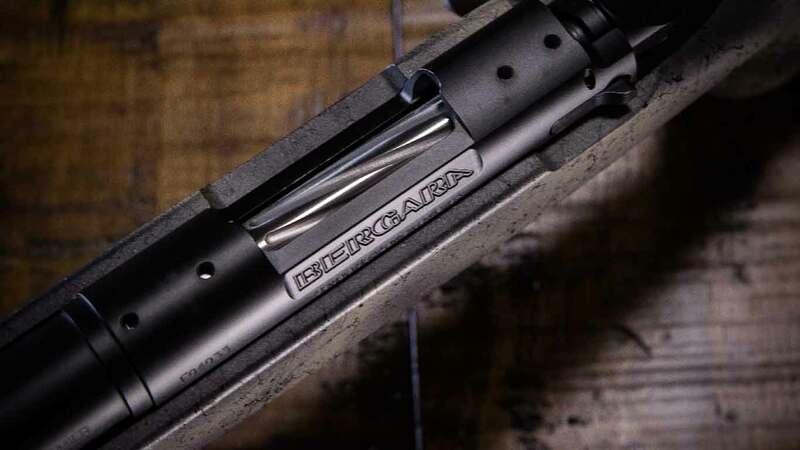 Then, at the Bergara USA factory, the barrel receives a Cerakote finish and is coupled with our proprietary Bergara PREMIER action, featuring a nonrotating gas shield, coned bolt nose, and sliding plate extractor. This action is designed as a two-lug system that features a separate floating bolt head to ensure contact with the lug abutments in the action. It also features a cone-shaped bolt nose for smooth feeding of the cartridge, and a spring-loaded sliding plate extractor located in the front of the lower locking lug. The one-piece bolt body is stainless steel with a pad at the rear to accept the threaded-in bolt handle. The bolt shroud and bolt stop are fully Nitrided for extreme durability, as well as its self-lubricating properties. The bolt handle is finished in Cerakote for the utmost protection. 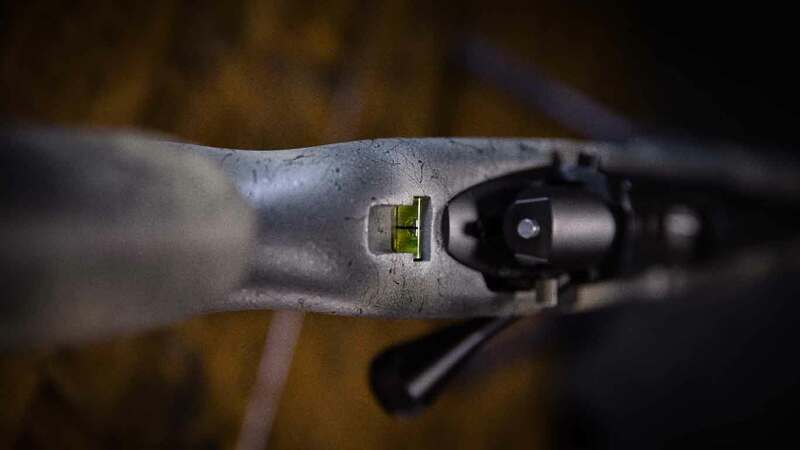 The two-position safety is part of the trigger assembly, which in the Ridgeback rifle is a TriggerTech® trigger with Frictionless Release Technology™. One great feature of this combination allows the bolt handle not to lock in the closed position, which in turn allows the rifle to be unloaded while in the safe position. The RidgeBack comes standard with a 5 round AICS style magazine (7 round mag: 6.5 PRC) and offers three barrel lengths, 20″, 24″, and 26″. *The Ridgeback is the first composite stock to fully support the M-LOK system. The Premier action is designed as a two-lug system that features a separate floating bolt head to ensure contact with the lug abutments in the action. It also features a cone-shaped bolt nose for smooth feeding of the cartridge, and a spring-loaded sliding plate extractor located in the front of the lower locking lug. The one-piece bolt body is stainless steel with a pad at the rear to accept the threaded-in bolt handle. The bolt head, the non-rotating gas shield, the bolt handle, and bolt shroud are fully Nitrided for extreme durability, as well as its self-lubricating properties. The Premier Ridgeback Rifle features a 5 round AICS style magazine (7 round mag: 6.5 PRC). 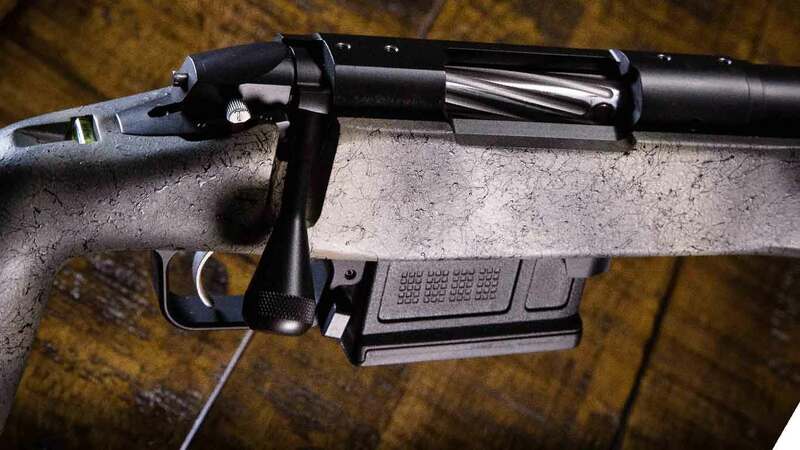 The Premier Ridgeback Rifle features an AICS style magazine. The Premier Ridgeback’s stock includes an integrated bubble level to ensure that no cant is imparted in the rifle while it is shot. This is to help achieve the maximum accuracy. 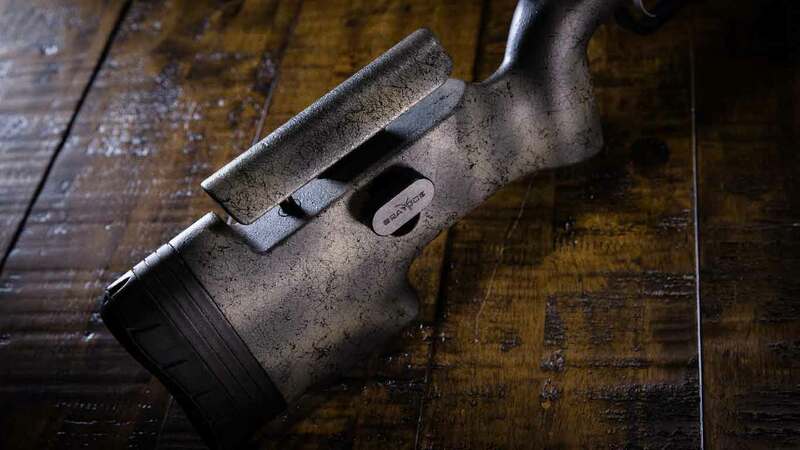 The Grayboe stock on the Premier Ridgeback rifle features a fully adjustable cheek piece to enable the best cheek weld possible while shooting.